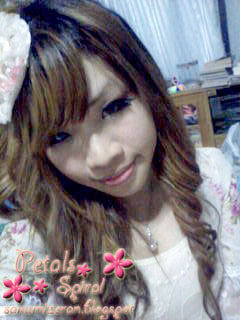 「花びらの螺旋★Petals Spirals」: Happy Happy Happy!!! It's my first entry for this year and yeah I do have some resolutions but it's just the same as other bloggers like loose weight,write interesting blog,etc so I'll just skip it. 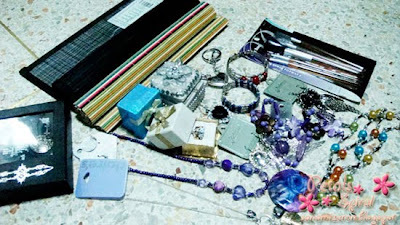 He bought me so many stuffs also. Well,I never thought he would bought me so many stuffs. 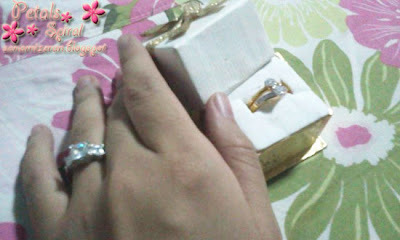 Including these he-said-so engagement rings. 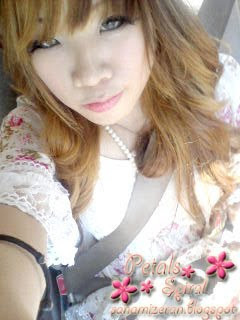 I took a pic when my father was driving. 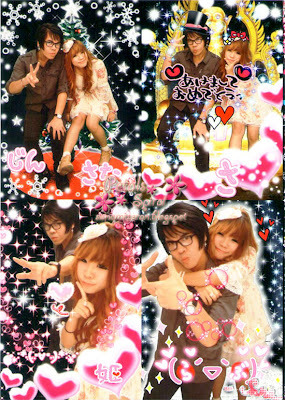 We went to purikura booth also. It's his first time taking purikura also. He takes care of me really well,he pays everything for me and such a gentleman.To say the truth,I thought he's going to be like...a bit cold to me but it's not like that at all and we got along so fast.We just had our first kiss today also.He's very shy that his face turned all red,so cute! !Well,I feel like we're some kind of teenager but he's already 27 and I'm already 23!! I hope we could meet more often coz he'll only come to see me just one more day before he's going back.But I kidda understand that he can't leave his house so often coz he has to help his family tho. That's one of my resolution for this year. Taken after I arrived home,glad that my makeup didn't wear off so much.